Iniciative: MoTA – Museum of Transitory Art, Ljubljana. 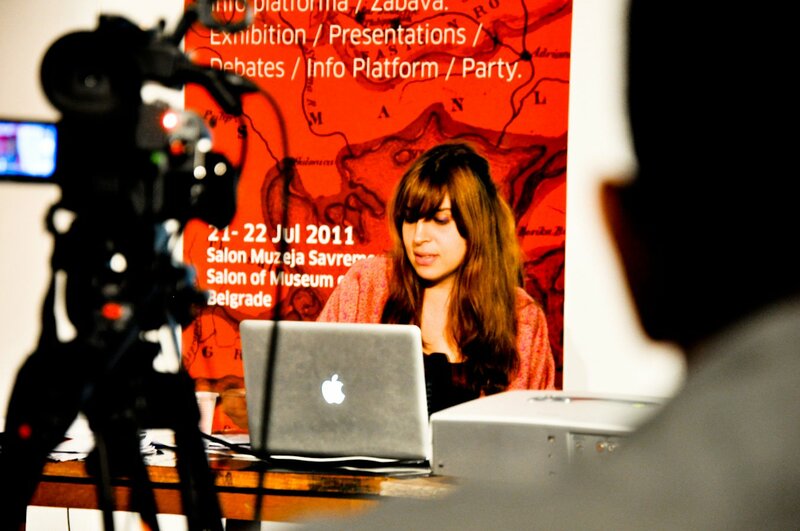 With support of: Treći Beograd & Salon of Museum of Contemporary Art, Beograd. 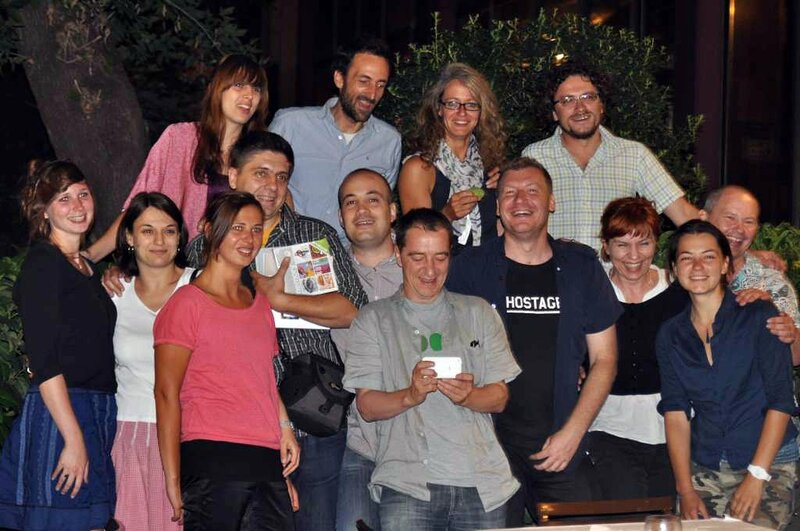 Partners: CIANT (Prague), WRO (Wroclaw), Kitchen Budapest (Budapest), Cenatus CIC (London), BIS (Istanbul), Protok (Banja Luka) i Artos (Ciper). Transitory network is an initiative to connect media-labs and artist-in-residency spaces in East Europe and the Balkans. 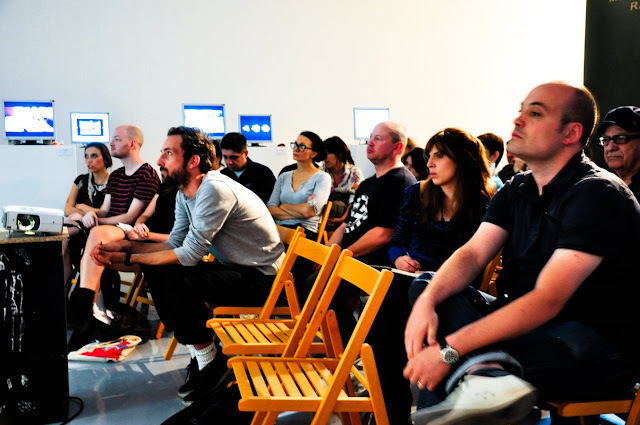 It functions as a collaborative curatorial body with an open call that will result in a shared residency program focused on artistic research and production of new site specific works of selected artists.In most of the cities the partners managed to establish pioneering residency programs. The network encourages exchange between these places as well as production and touring of international transitory artworks. All believe in building the infrastructure for artistic research, production and representation in order to be able to construct a dynamic and open system with the purpose to revitalize the either closed or just unfamiliar artistic scenes of the so called East. 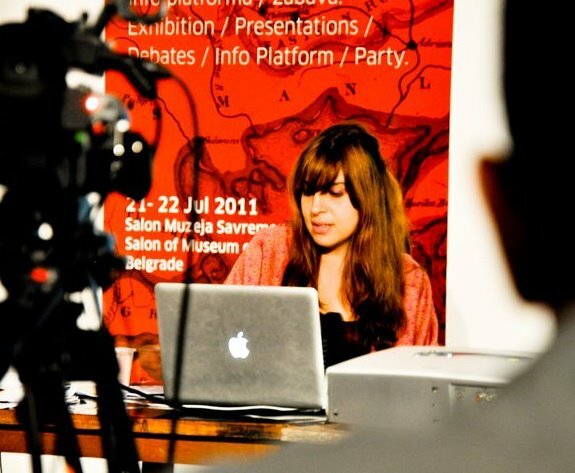 Transitory Network is first attempt to establish a shared residency platform by artistic intitiatives and medialabs of the so called East, that could join indenpendent organisations, host creators and researchers from the region, establish new connections as well as open to influx from other regions. Belgrade has always been a hotspot of the region, both historically, politically as well as being a cultural centre of the Balcan region and with rich diverse cultural scene it remains one of the most vivid cities. This is why we decided to bring the first TransitoryNetworkForum here. 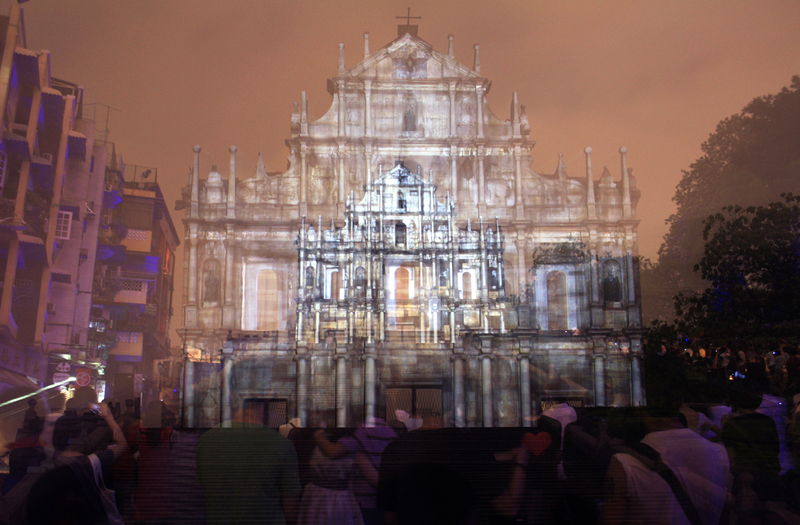 All involved organizations are specific in their local context, doing first steps whether in building residency programs or establishing research-production platforms for experimental, digital and exploratory arts. 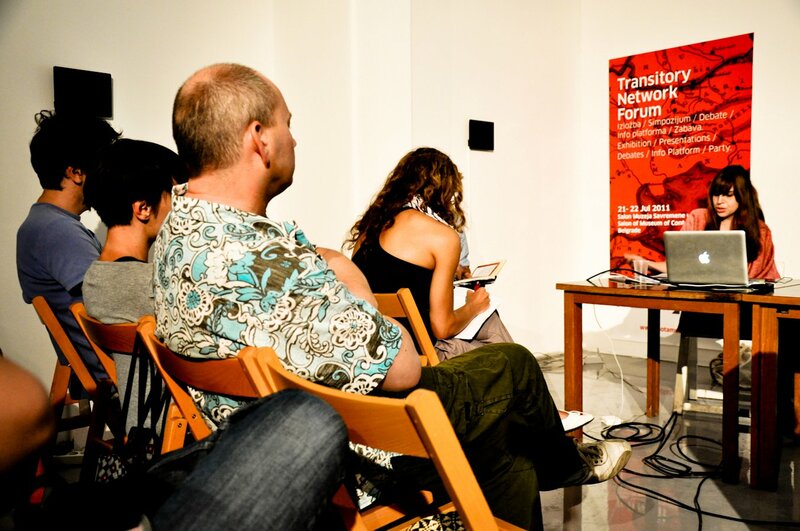 The Transitory Network Forum (TNF) is the first public presentation of the Transitory Network. It is designed to present and promote the Network and to initiate a public discussion and interaction with local and international public. POZOR! Sve prezentacije će biti na engleskom. Laura P. Gracia “Estetika prostora. Istraživanje u umetnosti i prostoru "
Agnieszka Kubicka-Dzieduszycka: Kontrolisano okolje vs slobodno izražavanje. 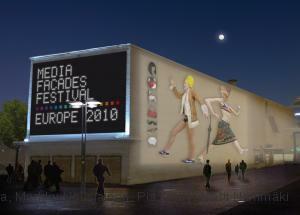 Media Art projekati za javni prostor ukustoske prakse u WRO Art Center . An investigation into the art and space. Influenced by Virno and Benjamin, I am stating about the Politics of Space. It is also a concept concerning about the Psichogeography, defined by Guy Debord as the study of the precise laws and specific effects of the geographical environment, consciously, organised or not, on the emotions and behaviour of individuals. Ian Sinclair is one of the most recent and contemporary critical theorist in psichogeography based in London. His projects have analyzed new landscape and Olympic zone, resulting one of the most critic works for the period. In my case, as a researcher based in cartography, mapping and geopolitics, I have concluded that an aesthetics is required to represent this particular art. In that sense, is urgently to build, construct and spread a way of thinking art. I have found the Spatial Aesthetic is one of the most completed way of thinking critically the situation of our contemporary society. Supporting this, as Benjamin did in his Passages, each place could be a space which is characterized by a specific actor (citizens, tourist, walkers …) or non-actor (defined by Joana Erbel, Critical Cities, Ideas, Knowledge and Agitation, Emerging Urbanist, as the factors in public space that are not human but determine the structure of the place). Also, the Spatial Aesthetics could be defined as the sense of the place as a material, like Saskia Sassen notates when she describes the powerful capitalism as potential earth buyer. Because each place holds and actor, and furthermore a material. After this consideration of a common sense of how to think critically our contemporary society, according the Spatial Aesthetics, I provide a reference from where this art theory departs from. It is the notion of public space and concerns the evolution of the definition of classic sculpture or monuments, actually very far from the idea of the renascent artist as a builder of the city. Contemporary mapping, cartography, geopolitics and psichogeography have built an urgently need to think art after vanguard, abstraction and performance art, and also cinema. The urgent need to build society under the influence of machinery, electronics and the evolution of communication tools and devices. Psichogeography was a movement of critical urbanism, but also it represented the beginnings of political culture. The ideology inside the city. Landscape vs public space. 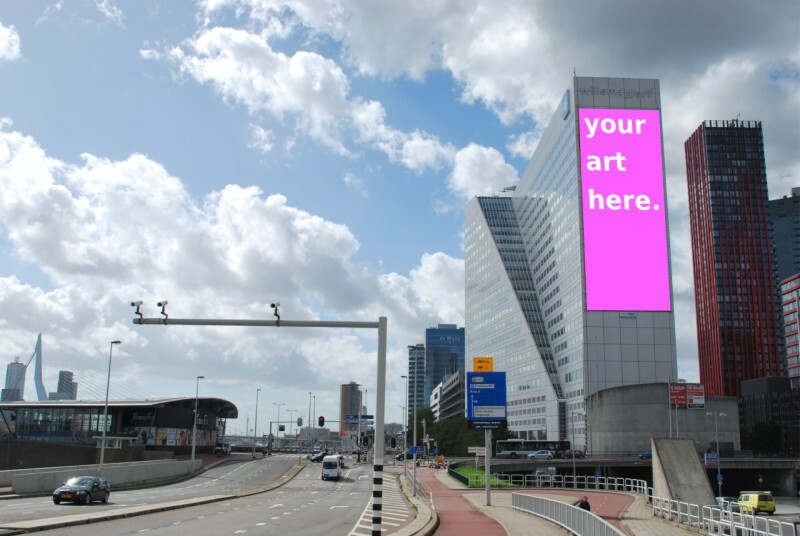 Cityscape, anti-monument, public and social sphere are concepts that define contemporary artistic practices concerned with the development of the public image of the city. The sculpture and public software are influencing the ideology and the education on the citizens. That necessity on transmitting knowledge and communication generates practices of appropriation of public space. At this point, public art programmes let social and artistic practices to recover the historical and local memory working with buildings and monuments that have a value. Those practices are based in praxis and also in strategies of communication through a direct experience. Other branches of this historical and social aspects of the current artistic discourse is one that develops from the psychogeography, cartography or antimonument. Strategic actions, models or utopian construction of public space, and also atypical figures in the museum space, make the ancient artistic practice of landscape being a model of knowledge for the development and improvement of the society. This practice of art will be deciding how to preserve the heritage and memory. There is a fact that the social landscape is built as a fictitious imitation of nature through architecture and more actually screens and electronic surfaces. In the way they are built, they face us to a daily confusion. The support and surface where they are inserted are an expression of daily life existence but when the subject, inside the landscape, decontextualizes the images in media and the advertisements acquires the signification of the ideology, as Adorno estates. They are building the ideology of masses, expressing the significance of contemporary life. In that way, the participation in the construction of the collective imagination as a landscape is a metaphor and symbolism of the real society, the tasks of artists among other social agents. All must agree that the representation of the collective imagination is influenced by the consumer society, through the strategy of seduction. This simulacrum of reality consists on an appropriation of techniques of advertising and tourism. What Adorno described as the process of constructing the psychology of masses by the identification of the product (the symbol or image of power through propaganda and reproduction technique) is currently defined by Baudrillard as simulacrum. Here, the proposal is to treat art as a document of reality, not a simulacrum, a palliative method for certain social practices. The concept of art as a document of reality focuses on the memory and information of the site, to create environments where the documentary falsification and speculation are excluded. The public space has been invaded in the last century by security systems (mainly cameras) that are used as devices that act as coercive effect of power (Foucault, monitor and punish), and representing the monumental forms and hegemonic discourse of power in history. 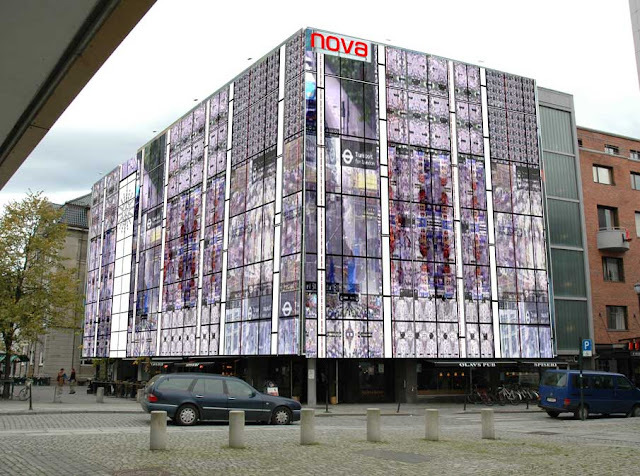 Along with advertising panels, security cameras and devices of control build an urban landscape dominated by surveillance, where the subject is denied to question and define a nature of society (War machines, Deleuze and Guattari). In that order, Critical Urbanism challenges the traditional monuments of history and public policy in defining monuments. The triumphal arch, the public sculpture or the media installation in open zones are ideological illustration for the social participation for the construction of the city. Following Saaskia Sassen, the place as a material become the paradigm to read the inside of the city. The most valuable material is what Negri describes as immaterial work (data and information producing a new digital order). Outside post-cities, outside borders of capitalism, material research and mines are re-discovered by financial giants. So in that way, when you deal with Spatial Aesthetics you consider a work of art that belongs to the city, post-city or any other place, but moreover you are dealing with a cultural policy, defending the communal interest of art inside the public voices of society. The agora publica, where the res-cogitas of the common citizens (the senso commune of citizens) is expressed thorough newspaper and fences that years ago where conquered by the publicity and brands. Contrary, artist are pushing against this simplification of commodity benefits and consumerism habits. It is thought the res-cogitans as matteric thought, a neuronal network. According Roy Ascott and Peter Weibel, citizens, artists and public institution have to build this social network, the noosphera, based in neuroscience as the energy of thought. Using big screen, data projection and public networks, the public space will be soon invaded by de-constructed electronic surfaces expressing the global embodiment. The image of the future city. LPDT (Le Plasir du Text). 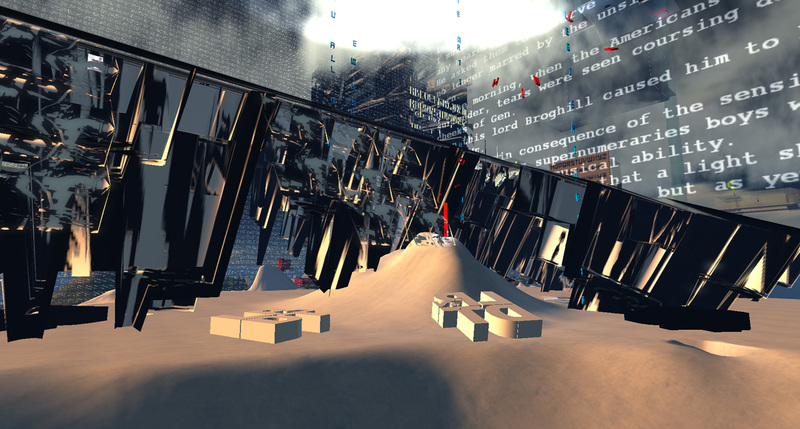 Second Life installation. Translocal Europa. Borders in the community. The rapid urban transformation in Square Mile London is an example of how it is turning into the Silicon Valley II. The new centre of the city is turning into a digital city, characterized by the digital generation. For Zizek, this belongs to the idea of the end of capitalism, the Post-city, that is establishing a new order centred at the financial district. But the trouble remains, as Adorno and Horkheimer criticised. The homogenised landscape of capitalism doesn’t let other voices be heard. Now the digital post-city, is finishing with capitalism but the same features still remain. One of them, the homogenization under ideological code. The digital city, the post-city is finishing with the capitalism and starting the new digital economic order. There have been critics to the new architecture as it is not enough sustainable. Massive building have been detected as precarious for the basic needs they require. Example of 3d environment. Able to visualized, updated and share data in the net. 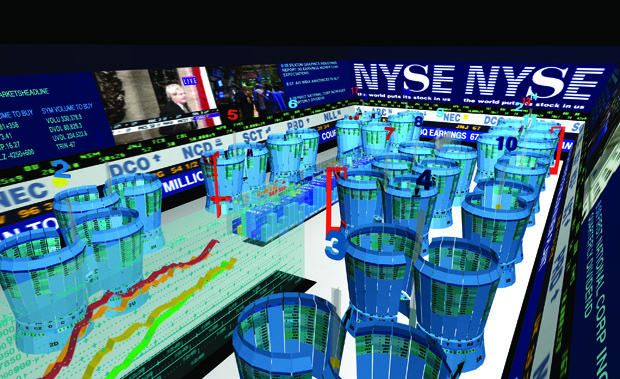 A large capacity real-time virtual model of the New York Stock Exchange trading environment. The 3DTF allows multiple users to view, monitor and analyze information pertaining to the Stock Exchanges daily trading activity. Later in the sixties and until the beginning of 21st century, capitalism represented the homogenization of liberalism and neo-liberalism. The counter-resistance had alternatives as Marcuse and Saaskia Sassen to Bourdieu, the whom with the theory of the politics of the sign, emancipated the linguistics to the order of capitalism as a system of production of goods. As Marx states it is needed a critical practice that will not be included in the mass production to be critical and improve the massive movements. The post-city is the actual moment and one of the main goals is the use of New Media Electronics. As capitalism encounters a resistance, actually there is a common movement based in the ideology of the D.I.Y. (do it yourself). An amount of artist are adapting its social practices from engineering, design, architecture or media communications. Also they are turning into creative workers. They use to work with workshop facilities at centres as V2 in Rotterdam, Medialab Madrid, FACT Liverpool, Constant in Bruxelles, etc… where they are able to distribute and produce tools and devices for the development of social requirements in order to improve communications, environment, data collection, urbanism, climate change. All of them mainly against the massive production and Microsoft capitalism. Lots of them are involved in mapping and cartography, but also databases, e-phone applications, robotics, internet, etc. What Zizek declares the end of capitalism, could be started 20 years ago with the disintegration of communism in 1989. Then the eastern bloc has a financial boom, and also UK. There were the times of the Digital technologies implosion. French sociologist Lefevre connects in that period the expansion of urbanism with capitalism. Also the psichogeographers, Debord, declared that the shape of the state come over life, building their form. The Eastern European post-communist countries suffered an spatial and social reconfiguration. The liberalism started the privatization of public space at 90s and the neo-liberal economy of 21st century found against him a new heterogeneous urban actors, artists and public art projects. 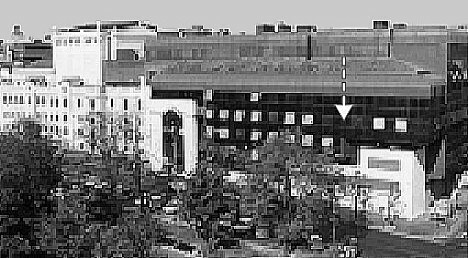 Old communist landscape made of large scale buildings representing intellectuals politicians were considered interesting by private companies and local authorities. Others were destructed avoiding concepts as memory and amnesia. In that sense, the notion of border, nation or country is also being re-signified. For example Greece and the Balkans are ethno-territories, minorities, with no borders because their community spread the place. Sometimes they used to be marginalised and delegitimized by purity and religious nationalism. After communism, the end of capitalism and with the post-city, concepts as Transnationalism, Internationalism, Globalism, Nation-states, Localism, Post-socialism, Post-nationalism, Localism are arising. Each of them is a different notion to be categorised, but all are movements after communism and formers of Spatial Aesthetics. Actually, Europe finds in itself a large definitions and members: the Eurozone, the Eurocentrism, Eurasia, Mediterranean Europe. All of them involved in the construction of European policies for a true internationalism. From Nietzsche to Orwell, Europa has been the main theme for discussions for Intellectuals and writers, artists and also citizens. In conclusion, it could be said that translocalism comes altogether with post-city characterised by new media electronics that gives us the sense of immaterial, ubiquity, de-territorialism of communication allowing to work abroad and non-place. According this, it achievement have to be more freedom and better communications and economic facilities. Dealing also with sustainability and the ecological and climate change matters that machines and technology are promoting. A series of tactical art projects which began in 2001 with the exploration of Internet ballet. It explores wireless Internet ballet performances combined with guerrilla tactics and mobile live Internet broadcasting strategies. The 10-years project ends in 2011. 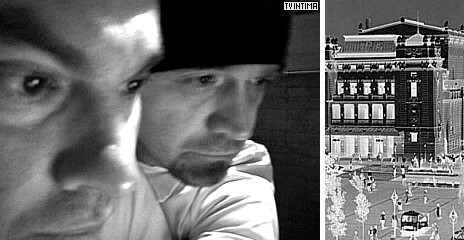 It's a serial of interventions in public spaces: right now it is intensively being prepared for the final Ballettikka Internettikka action in Antarctica, November 2011. The relation between the project itself and the public space is multilateral. This actions are invasions, mostly illegal guerrilla actions (but not all of them), where artist enter the specific public space and do the artistic action there, a ballet (at the beginning with our own bodies, later with robots). So it has illegally invaded various public institutions and public places/structures, like the Bolshoi in Moscow (BI Ballet Net), La Scala in Milan (BI Illegallikka Robottikka), Ljubljana Beltway - Motorway Ring (BI Autto Mobillikka), National Theatre in Belgrade (BI BEO Guerrillikka), Volksbühne toilet in Berlin (BI VolksNetBallet), City Hall toilet for disabled people (BI RenminNetBallet) plus the Lippo Centre twin-towers (BI Stattikka) in Hong Kong, a factory in Slovenia (and broadcasted live to Plaza del Rey in Madrid: BI Hydraullikka), and construction site of the new shopping mall in Seoul, where a robot was buried (BI Intermenttikka). Lately, the robots had been abandoned as far north as they could go (Svalbard, Arctic ocean; BI Norddikka), as far east (Japanese island Minami Torishima in Pacific Ocean; BI Nipponnikka). This year it is going to end the 10-years project by abandoning the last robot as far south as possible: this time on Antarctica (BI Antarcttikka). It was also done one BI action in a relation to the ceremony of igniting the olympic torch in Greece (BI Olymppikka), and in the Port of Hamburg (with two insect robots; BI Insecttikka). Beside that, it was also done some smaller BI actions which are not so public-space related. So, the basic starting point was: if they don't let us go somewhere in a legal way, we go illegally, guerrilla style. Later, this guerrilla style changed into more intimate form (abandoning the robots, leaving them in several extreme places forever). KEY WORDS: Architecture. urban design interventions. heterotopy. No-place. border. Memory. power. Common spaces. Political spaces. Heritage. Museum. Public space. Public sphere. Monument. Landscape. Extraterritoriality. Dec-territorialization. Decentralization. Mapping and cartography. Dystopia. Scene. Mise - en - escene. Theatre. Trip. Derive. Walk. Drift. Global. local. Glocal. Churches and palaces. Terrain vague. Geopolitics. Homogenization of urban space. The cavern. BAUDRILLARD, J. et al. 1991. Citoyenneté et urbanité. París, Editions Esprit.